As I was checking out some of the September NaBloPoMo’s posts this morning I came across this one written by Sharon Greenthal on her “Empty House Full Mind” blog. Much like making a bucket list, this “Before I Die” statement may require deep thoughtful consideration from some (present company included) or quick “I’ve always known the things I have always wanted to do” responses from others. Lately, I have not been agonizing over a grand last hurrah “before I die” extraordinaire, but, rather struggling with whether we are living our mundane day by day life the way we want to. I question why we don’t explore the vast number of options available to us. Certainly, the tragic and sad loss of my son, Joe has contributed to my reflective mood. In turn my reflective mood has contributed to my restless feet and a troubled soul. But, there have been other additional painful experiences we have faced and continue to deal with. Another factor is our age. Ross and I do not fool ourselves by considering our stage of life to be mid life. Really, now, has there has ever been a human who has lived to be 130 years old? We did the math. We have lived more years than we have left to live. 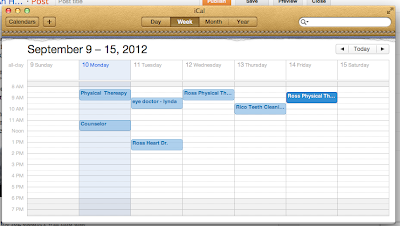 Our calendar is not filled with social engagements, but rather with physical therapy and doctor’s appointments. There are of course, choices I can make. On the other hand, there will be, of course, obstacles that I may have to scoot around, jump over or make a gentle accommodating space for. I am not much of a planner. I don’t like routine. I don’t do laundry on Monday’s, or always water my plants once a week. I’m am an “up and down the aisle grocery shopper”. I don’t do lists or clip coupons. Breakfast, lunch and dinner are when I get hungry. 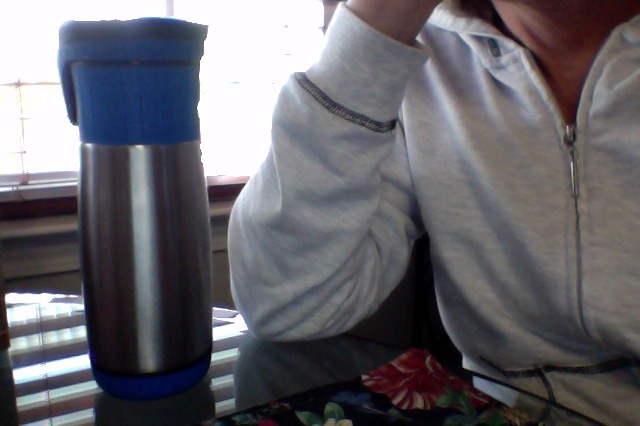 My one and only ritual is my early morning must have mug filled with decaf green tea, with a touch of skim milk. In the past I have had the courage to make huge life changing choices. Maybe its time to shake it up again. The decisions I need to make will probably become more evident once the fog lifts and my blurred vision clears. I feel I am on the brink of the big reveal. Before I die I want to have long waist length gray hair and a standing Thursday morning coffee date with a BFF. Jean and Peg went to play tennis. Flo phoned ready to go to N.Y. Girls home from courts late. Too late for Flo. Peg and Jean went to N.Y. alone. Baby and I had supper at Naps. Getting old is hard and every now and then I catch myself thinking about the same things you and your husband have been contemplating. Somehow, I know that getting old does’t have to be hard. I have a sense that it is within our power to make it a different experience. That’s what I am trying to figure out. Any ideas? What a lovely post. I love that goal! I spoke to my hubby last night and told him one of my goals this holiday season is to be more "present". I felt to rushed and didn't enjoy last year at all. I used to take time to gather with friends and bake etc. My first hubby passed away on Dec. 14th in 2006 and have a hard time with the season. One of my goals is to enjoy the month more. The BFF with coffee date just sounds great..Hope you achieve it going forward! I have had three significant losses around the holidays. So, I understand how you feel. For me they are usually filled with melancholy and nostalgia. What you experienced last year seems to be what the holidays have become for most of us. Perhaps we all need to just chill out, and bake some cookies instead of rushing around the mall trying to find that last minute gift for Uncle, just in case he shows up. I watched the TED talk - I like what she did. But I have a tough time with completing the statement. I think I get too caught up in writing just the right thing! so how about this one? Before I die I want to say (and believe it) - hey, I am doing the best that I can. BTW, my calendar has WAY too many physical therapy appointments on it! WTH? I would be so interested to read those walls. I could probably stand there for hours, just to see what everyone wrote. I like your statement. Perhaps that will be a goal of mine. To convince myself that I am doing the beat I can. PS: you go for the long gray hair, girl! As for me, I will go for the shaved head! and I want a BFF with whom to have tea every Thursday too! Shaved head? Really? That would be so cool! I would really be down with some head shaving. :) I put the TED talk link in my favorites folder & hope to get to it soon. I have only the vaguest notions of things that I want to do--I have been so deeply entrenched in just getting by from day-to-day for years that I haven't really let myself think much about want-to-do's.